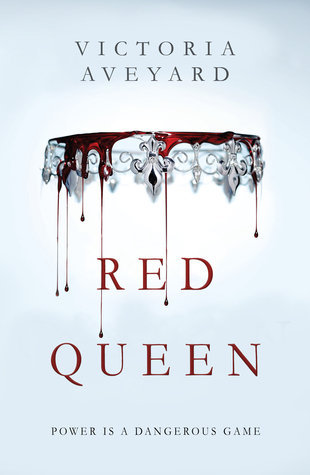 I’ve heard a lot of positive buzz abut the Red Queen by Victoria Aveyard. When someone describes the Red Queen as Game of Thrones with Katniss and the X-Men in a tantalizing YA twist of magical perfection, I sit up and read. I’m disappointed that I saw X (no spoliers here) a mile away. Really? Hasn’t that been done already like a billion times?!?! And while we are introduced to a world that had potential, it remained incredibly basic, bringing nothing particularly new to the YA table. That being said, overall I liked it. The fictional tale of the Red Queen is not an incredibly new premise but it is a fun ride. There are enough plot twists that I did not see coming that made this enjoyable. If really want something original, then this isn’t the book for you and I would recommend Leigh Bardugo’s Grisha Trilogy instead. This entry was posted in Fantasy, Magic, Young Adult and tagged dystopian fantasy, Red Queen, Victoria Aveyard, Young Adult. Bookmark the permalink.